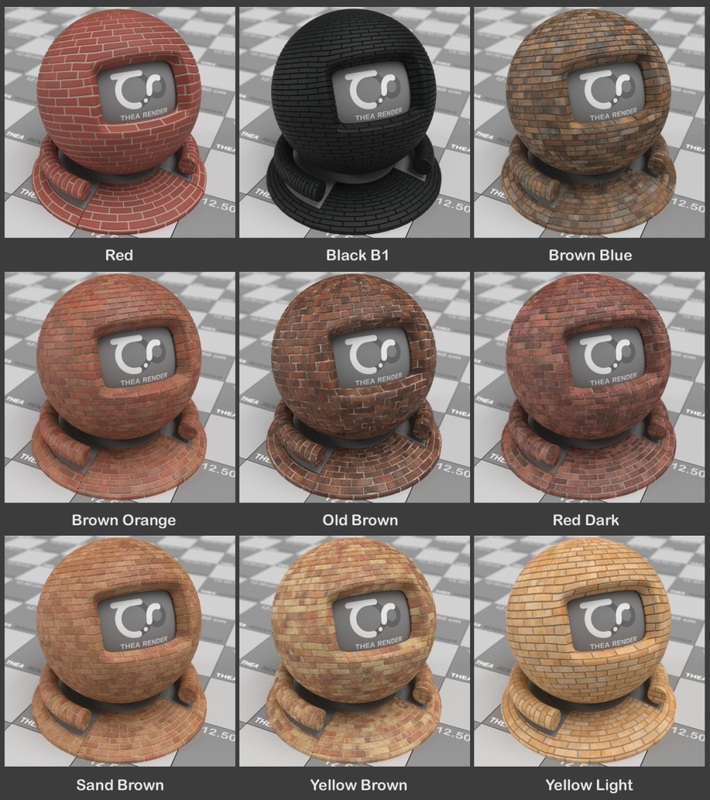 A set of 9 high-quality materials to dress your architectural brick walls, with high resolution professional texture maps, in 2 variations (bump and displacement). During installation, a new sub folder called Brick Walls is created under Materials data folder. A material name that starts with 2×2 means that the textures used have 2048 x 2048 resolution, 4×4 means 4096×4096 and so on. 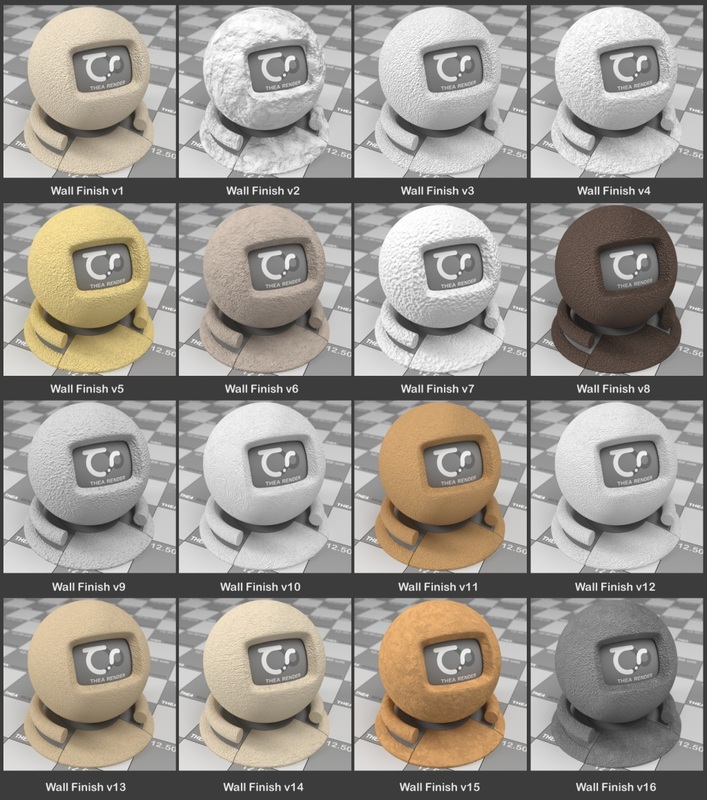 The textures have been setup with Cubic mapping for easy assignment (drag & drop ready) – the only exception are the materials with displacement (UV mapping is required for them). You can visit the related forum page with detailed instructions or check our short tutorial on cubic mapping. 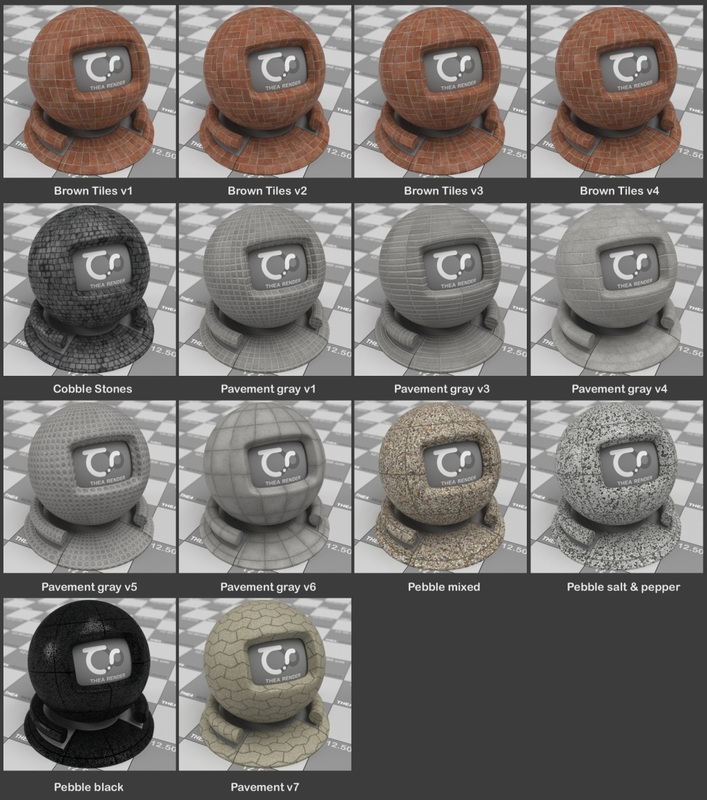 A set of 14 unique high-quality materials along with 10 close-up variations to dress your exterior architectural pavements, with high resolution professional texture maps, in 2 variations (bump and displacement). During installation, a new sub folder called “Exterior Pavements” is created under Materials data folder. A material name that starts with 2×2 means that the textures used have 2048 x 2048 resolution, 4×4 means 4096×4096 and so on. 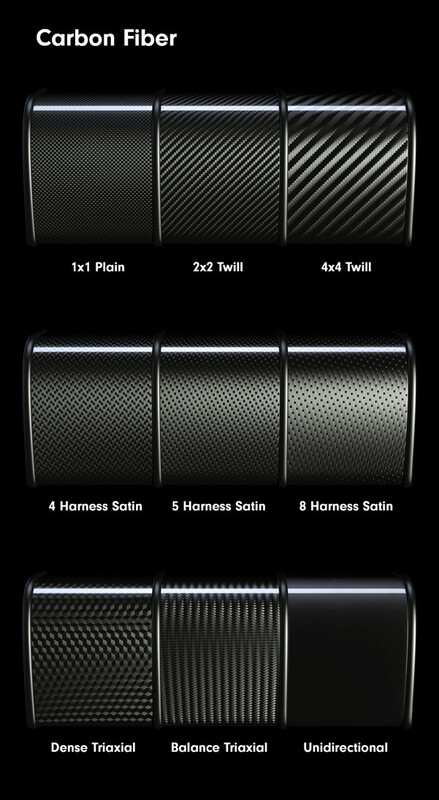 A set of 16 high-quality materials to dress your architectural walls, with high resolution professional texture maps. During installation, a new sub folder called “Wall Finish” is created under Materials data folder. A material name that starts with 2×2 means that the textures used have 2048 x 2048 resolution, 4×4 means 4096×4096 and “proce” means that a procedural texture is used. 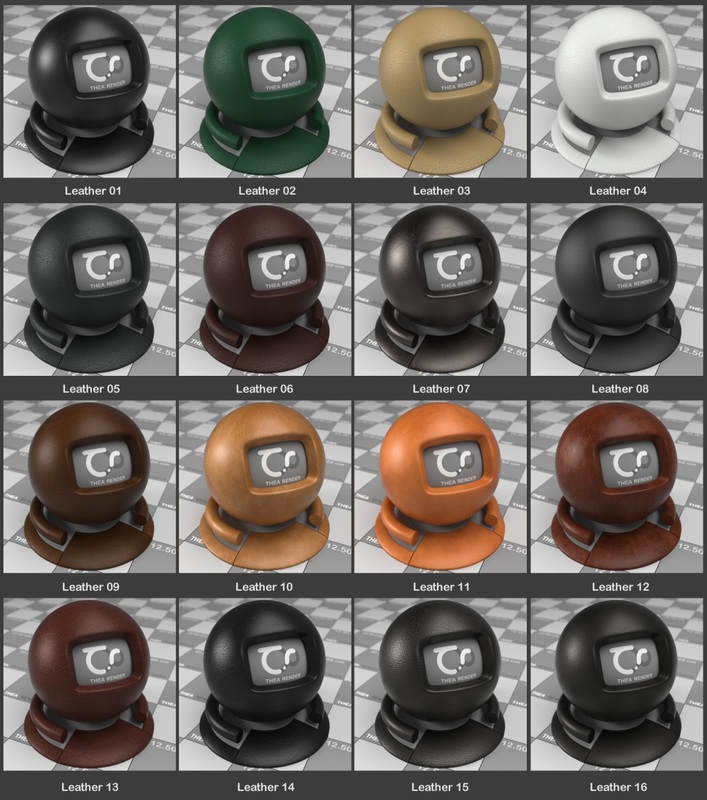 A set of 16 high-quality materials to dress your outdoor furniture, with high resolution professional texture maps, in 2 variations (bump and displacement). During installation, a new sub folder called Wicker is created under Materials data folder. A material name that starts with 2×2 means that the textures used have 2048 x 2048 resolution, 4×4 means 4096×4096 and so on. The textures have been setup with UV mapping. You can visit the related forum page with detailed instructions. A set of 16 high-quality materials to dress your outdoor furniture, with high resolution professional texture maps. During installation, a new sub folder called “Upholstery Fabric” is created under Materials data folder. A material name that starts with 2×2 means that the textures used have 2048 x 2048 resolution, 4×4 means 4096×4096 and so on. A set of 8 high quality birch tree leaf materials to dress your birch trees. During installation, a new sub folder called “Birch Tree” is created under Materials data folder. A material name that starts with 2×2 means that the textures used have 2048 x 2048 resolution, 4×4 means 4096×4096 and “proce” means that a procedural texture is used. A set of 16 high-quality materials to dress your models, with high resolution professional texture maps. During installation, a new sub folder called “Leather” is created under Materials data folder. A material name that starts with 2×2 means that the textures used have 2048 x 2048 resolution, 4×4 means 4096×4096 and so on. 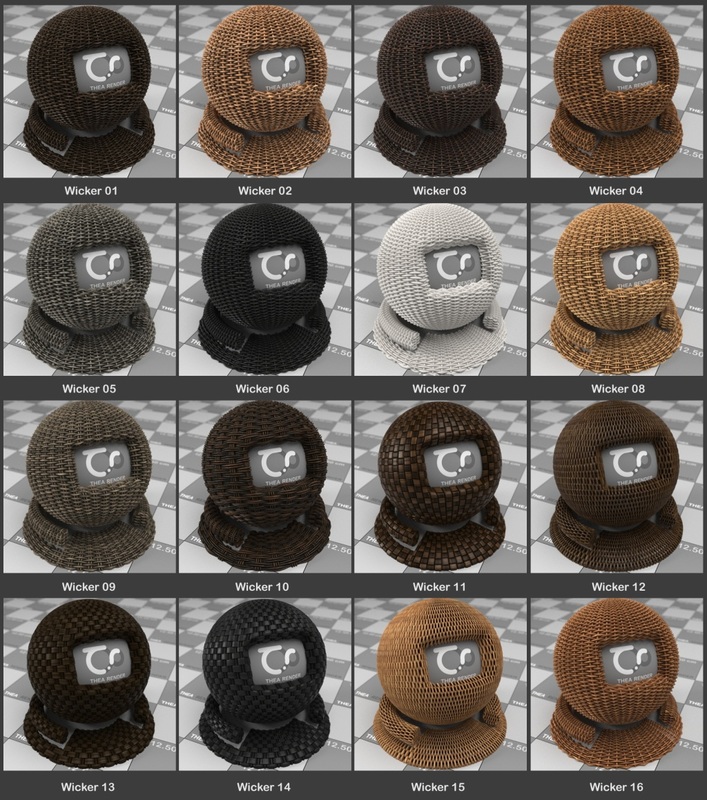 A set of 20 high-quality materials to dress your models (+8 variations, making it a total of 28), with high resolution professional texture maps. During installation, a new sub folder called “NS Tiles” is created under Materials data folder. A material name that starts with 2×2 means that the textures used have 2048 x 2048 resolution, 4×4 means 4096×4096 and so on. A set of 17 high-quality materials to dress your models, with high resolution professional texture maps. During installation, a new sub folder called “NS Slabs” is created under Materials data folder. A material name that starts with 2×2 means that the textures used have 2048 x 2048 resolution, 4×4 means 4096×4096 and so on. The textures have been setup with Cubic mapping for easy assignment (drag & drop ready). You can visit the related forum page with detailed instructions or check our short tutorial on cubic mapping. Please use the links below to download the library. A set of 15 high quality materials to dress your models, with high-resolution professional texture maps. During installation, a new sub folder called “Thea Concrete 01” is created under Materials data folder. the textures used have 4096 x 4096 resolution. The textures have been setup with UV mapping for easy drag/drop right on your models. You can visit the related forum page with detailed instructions. A set of 20 high quality materials to dress your models, with high resolution professional texture maps. 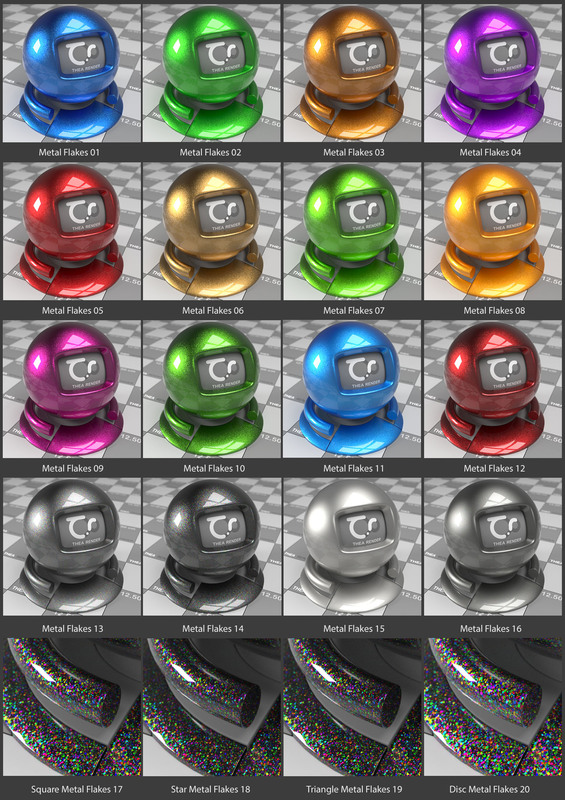 During installation, a new sub folder called “Metal Flakes Car Paints” is created under Materials data folder. The textures have been setup with cubic mapping for easy drag/drop right on your models.You can visit the related forum page with detailed instructions. 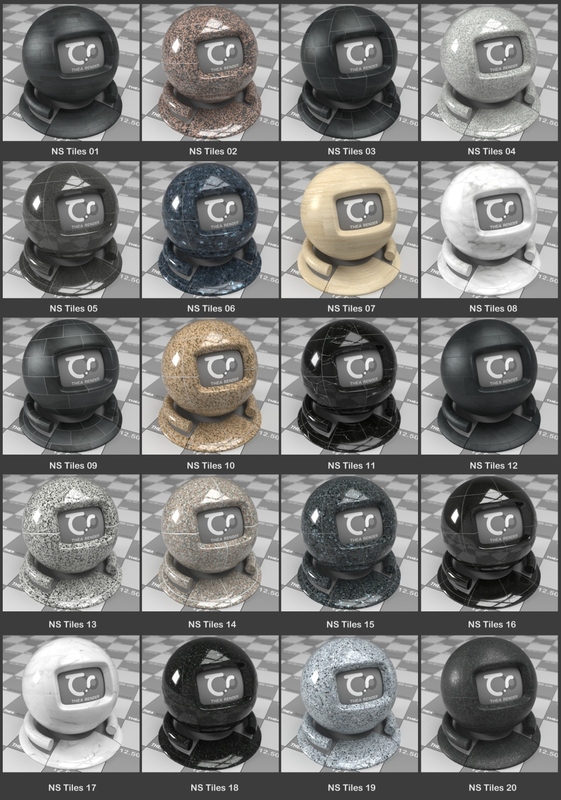 A set of 9 high quality materials to dress your models, with high resolution professional texture maps. During installation, a new sub folder called “Carbon Fiber” is created under Materials data folder. You can visit the related forum page with detailed instructions. 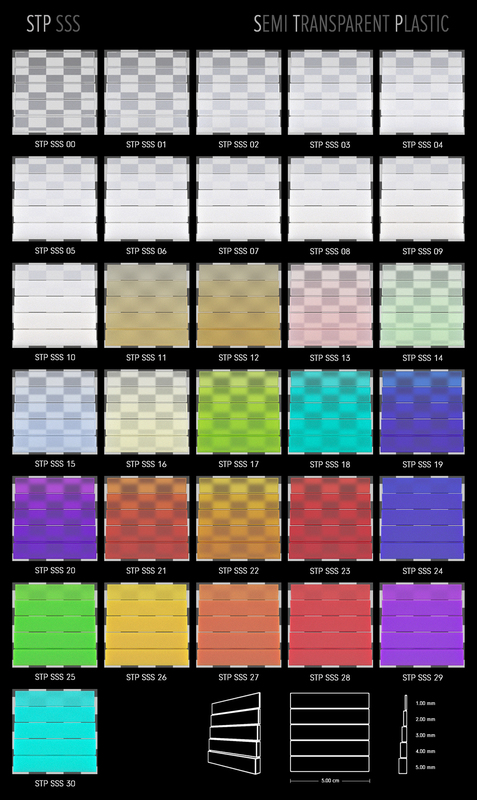 A set of 118 high quality materials to dress your models, with high resolution professional texture maps. During installation, a new sub folder called “Plastic Surface Finish” is created under Materials data folder. You can visit the related forum page with detailed instructions. During installation, a new subfolder called “Semi-Transparent Plastic” is created under Materials data folder. You can visit the related forum page with detailed instructions. 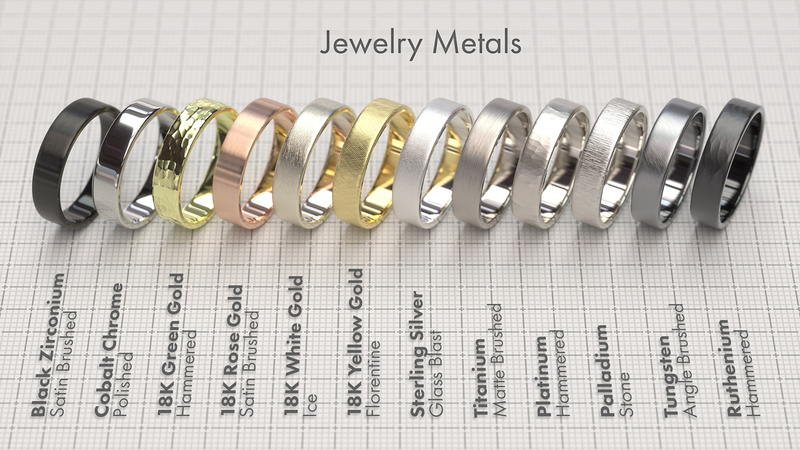 A set of 24 high-quality jewelry metals – each one with 50 Surface Finishes divided into 9 categories, ready to be applied on your models. During installation, a new sub folder called “Jewelry Metals” is created under Material data folder. You can visit the related forum page with detailed instructions. 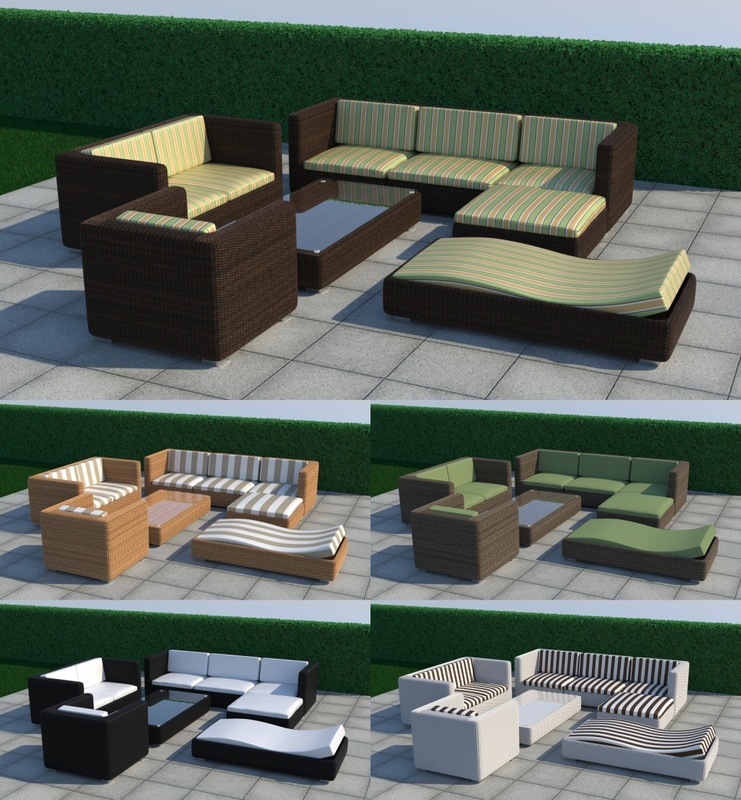 The first set of outdoor furniture models with materials and textures, setup with UV mapping. These models work out of the box with the Wicker and Upholstery Fabric material libraries (drag & drop ready). During installation, a new sub folder called “Outdoor Furniture Set” is created under Models data folder.The set consists of: Two Seats, Armchair, Sunbed, Ottoman, Table, Sectional Corner Chair (left), Sectional Corner Chair (right), Sectional Armless Chair and Seat Cushions. You can visit the related forum page with detailed instructions. 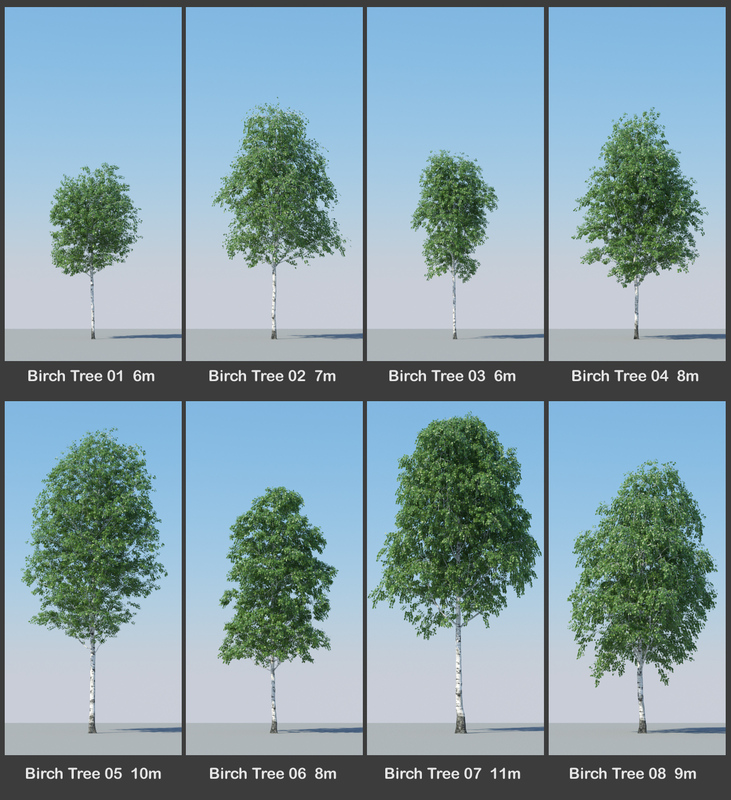 A set of 8 high quality birch tree models and 4 “fallen leaves” models for instancing to dress your architectural scenes, ready made with materials and textures. During installation, two new sub folders called “Birch Trees I” and “Birch Trees II” are created under Model data folder. 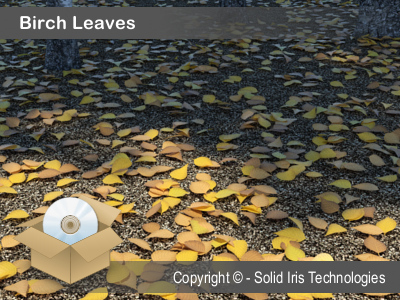 In addition there is included a birch tree material library to change the leaves of the birch trees according to the seasons. During installation, a new sub folder called “Birch Tree” is created under Materials data folder. You can visit the related forum page with detailed instructions. 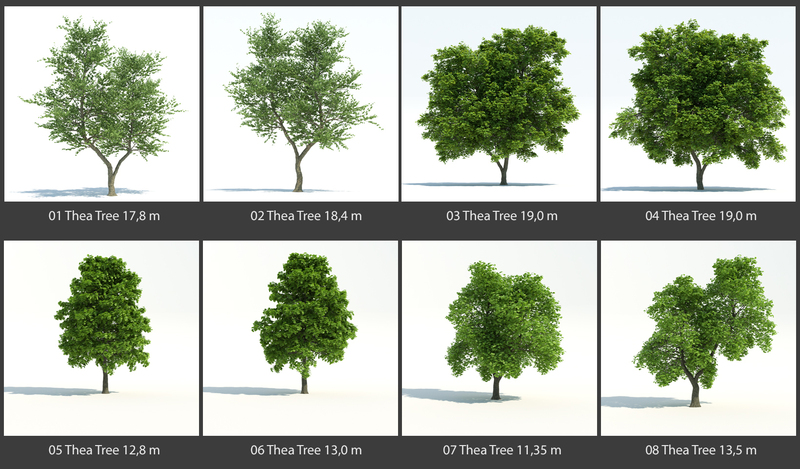 A set of 8 high quality tree models – created by Krzysztof Czerwiński – to dress your architectural scenes, ready made with materials and textures. During installation, two new sub folders called “Thea Trees 01” and “Thea Trees 02” are created under Model data folder. You can visit the related forum page with detailed instructions. A set of 15 textured and ready-to-use models, each one with a low-poly proxy and a selectable Thea Light, making it easy to change the intensity. Light intensities and emitting materials have been setup for night renderings with typical camera values: f-number: 2.8, Shutter Speed: 50 and ISO:300. The file is in lib.thea format and once installed it will add a folder named Thea Lights Collection inside the Thea Data > Models path. You can visit the related forum page with detailed instructions. 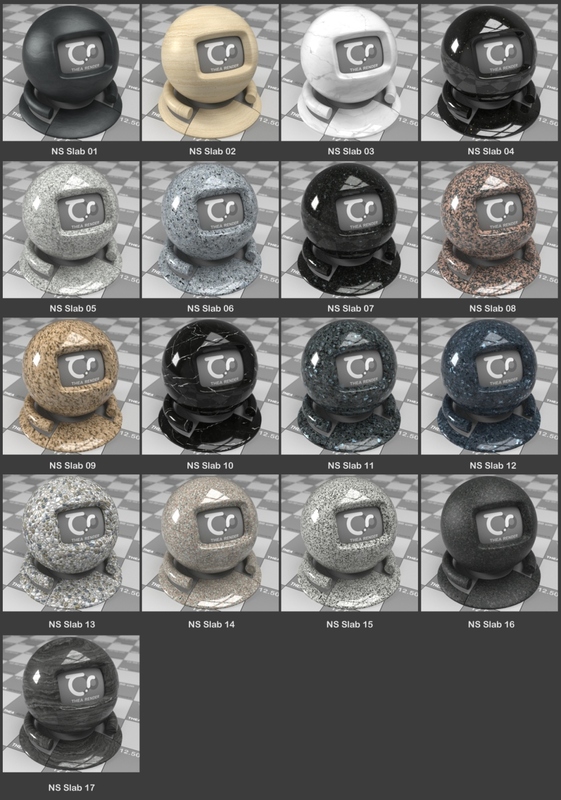 A set of 20 high quality HDRI Studio Images for Image Based Lighting to illuminate your models. 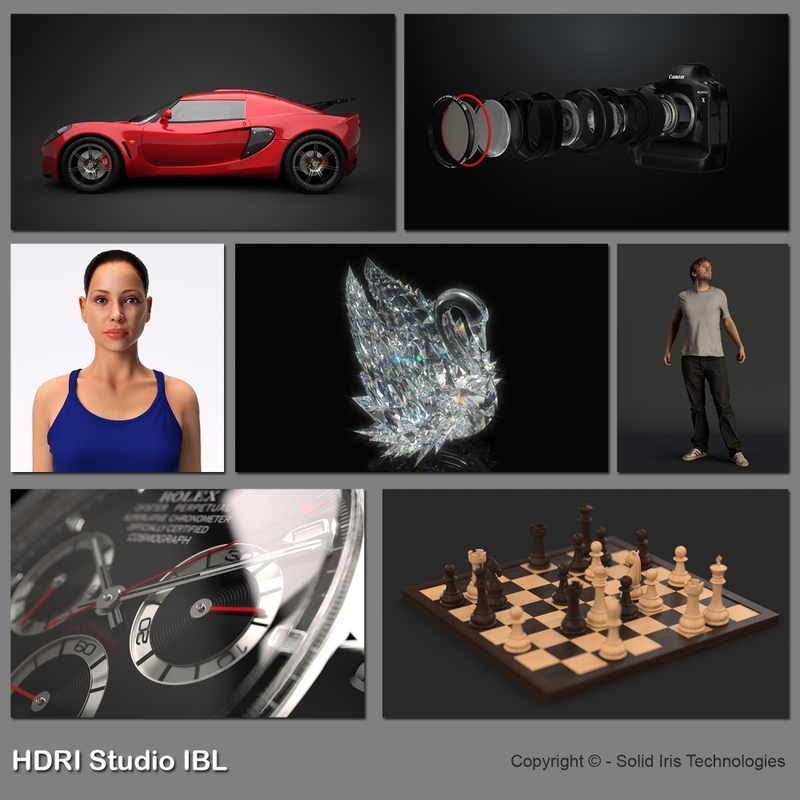 During installation, a new sub folder called “HDRI IBL Studio” is created under Skies data folder. 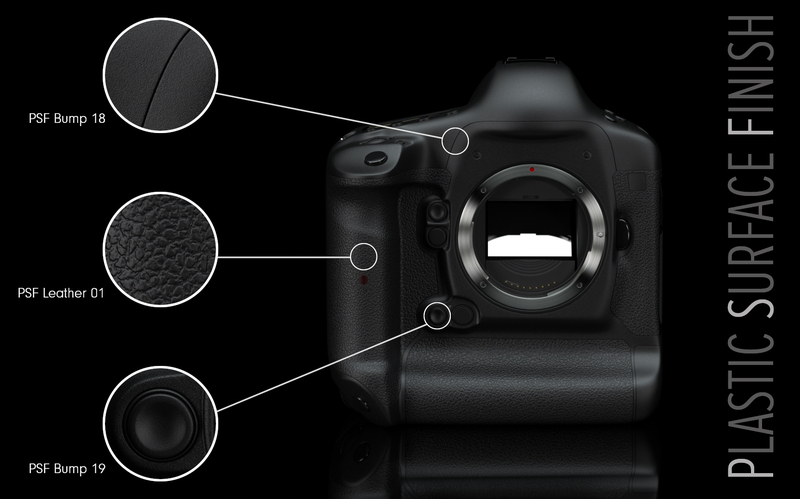 The HDRI have been setup with Darkroom exposure and display settings for easy drag/drop right into your Studio scene. Note that Thea Version 1.2 (revision 945 or newer) is needed for correct usage of this library. You can visit the related forum page with detailed instructions. 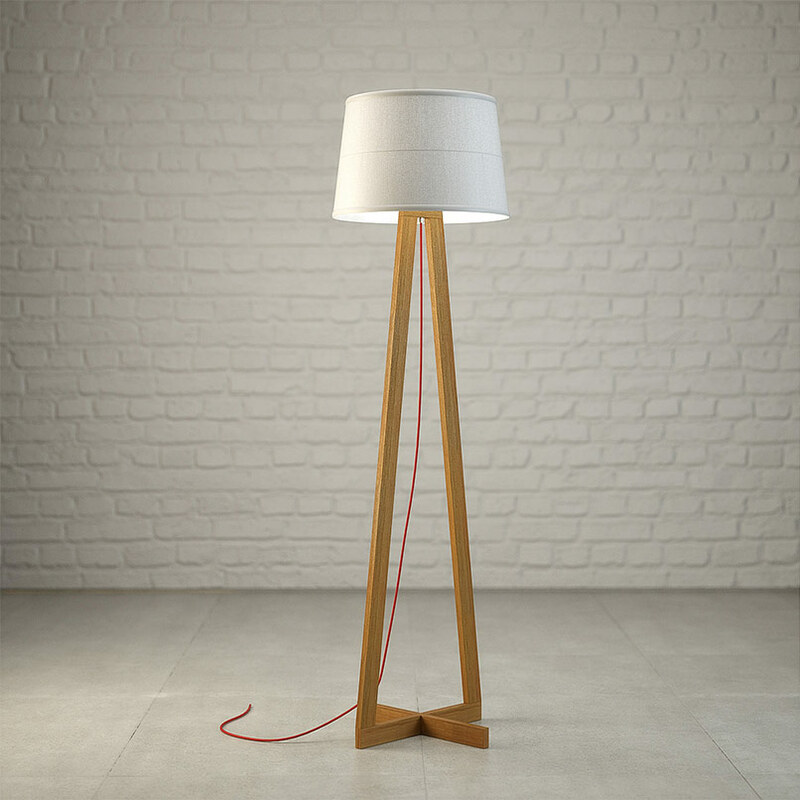 A set of 10 high quality HDRIs for Image Based Lighting to illuminate your models. 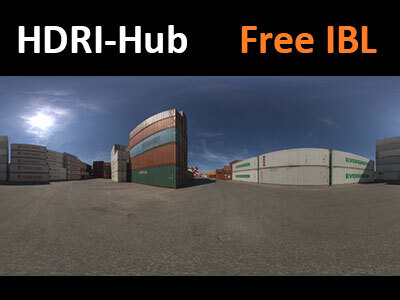 During installation, a new sub folder called “HDRI-Hub” is created under Skies data folder. 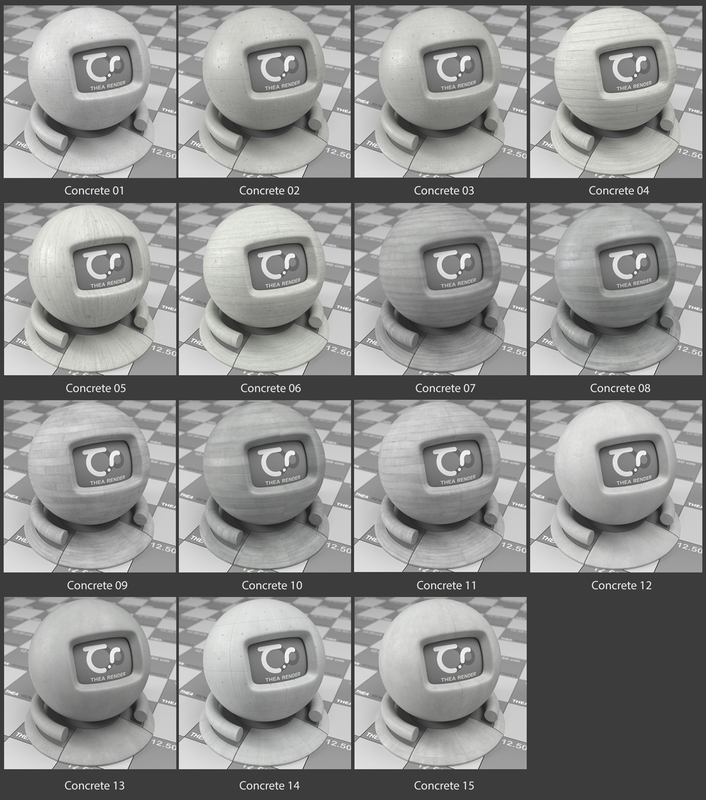 The HDRIs have been setup with Darkroom exposure and display settings for easy drag/drop right into your Studio scene. 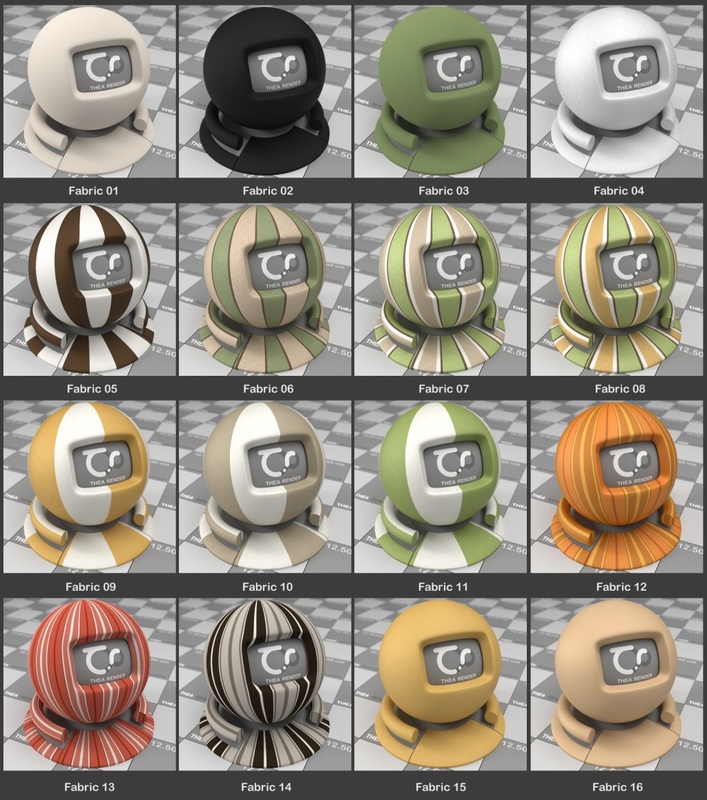 Copyright of the original models belongs to HDRI-Hub. Used under permission.